Van Lange, P. A. M., Rockenbach, B., & Yamagishi, T. (2014, Eds). 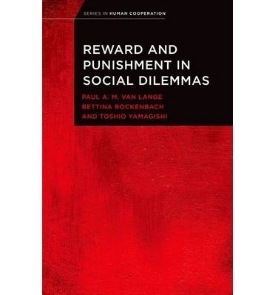 Social dilemmas: New perspectives on reward and punishment. New York: Oxford University Press. Joireman, J. A., & Van Lange, P. A. M. (2015). How to Publish High Quality Research: Discovering, Building, and Sharing. American Psychological Association. Washington DC. Van Lange, P. A. M., Kruglanski, A. W., & Higgins, E. T. (2012, Eds). Handbook of Theories of Social Psychology (Volume 1). Thousand Oaks, Ca, Sage. Van Lange, P. A. M., Balliet, D. P., Parks, C. D., & Van Vugt, M. (2014). Social dilemmas: The psychology of human cooperation. Oxford University Press. Van Lange, P. A. M., Kruglanski, A. W., & Higgins, E. T. (2012, Eds). Handbook of Theories of Social Psychology (Volume 2). Thousand Oaks, Ca, Sage. Van Lange, P. A. M. (2006, Ed.). 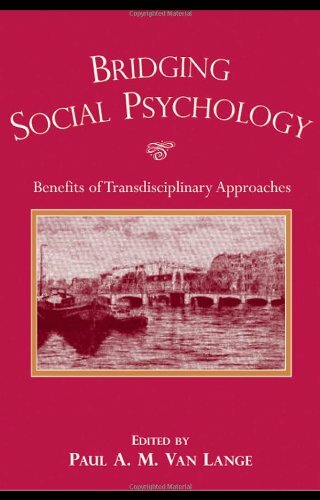 Bridging Social Psychology: Benefits of Transdisciplinary Approaches. Mahwah: Erlbaum. Van Prooijen, J. W., & Van Lange, P. A. M. (2014, Eds). Power, politics, and paranoia: Why people are suspicious of their leaders. Cambridge University Press. Kelley, H. H., Holmes, J. W., Kerr, N. L., Reis, H. T., Rusbult, C. E., & Van Lange, P. A. M. (2003). An Atlas of Interpersonal Situations. New York: Cambridge. Forgas, J. P., Jussim, L., & Van Lange, P. A. M. (2016, Eds). Social psychology and morality. New York: Psychology Press.